Iowa - Life as a parent of a child with epilepsy is hectic enough, Kim Novy says. On Tuesday, she asked the state for a little help. Novy encouraged the Iowa Department of Public Health and a state rule-making committee to make as efficient as possible an ID card program being created for Iowans who hope to treat their epileptic children with cannabis oil. "As a mother of two children who are in need of a cannabidiol card, I would appreciate this process to be as efficient and uncomplicated as it could be," Novy said Tuesday at the Iowa Capitol during a meeting of the Legislature's Administrative Rules Committee. Novy, of Altoona, and others encouraged the state to streamline the process to obtain the ID card that will be required of parents seeking cannabidiol treatment for their children. The card will require photo identification and a neurologist's approval. The departments of Public Health and Transportation are working together on the ID card program. Novy asked if the state could provide an online application to expedite the process. But Deborah Thompson, policy adviser for the Department of Public Health, said that would not be possible without more state funding. "Our lives are challenging enough," said Novy, who told the rules committee her 12-year-old twin daughters with intractable epilepsy have multiple seizures daily and "violent" seizures two to three times per week. "If you can expedite the process and make it as easy as possible, that's what we would like to have." Maria La France, of Des Moines, who has a child with epilepsy, agreed. La France has been a staunch advocate at the Capitol for the cannabidiol law. "Our lives are already burdened," La France said. "Even though we are extremely grateful for this law, I just want to emphasize that we're taking it very seriously as parents as well, and we'll do our best to comply. Thank you in advance for helping us get these rules so we can access a treatment that may help our children who don't have much time." Thompson said she understands the angst of Iowans like Novy and La France and noted IDPH is trying to make rules that are efficient but still have the necessary safeguards against fraud. "These are new laws; it's a new program. I think we're going to be learning together," Thompson said. 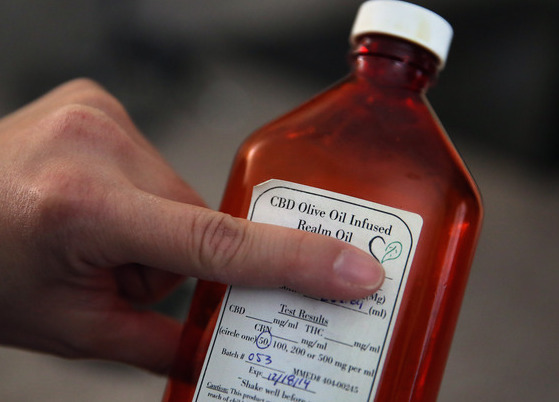 Because the new law, which took effect July 1, only permits the use of cannabidiol but not its production, parents have expressed frustration with having to travel to other states to obtain the oil. Those matters do not fall under the jurisdiction of the rules committee, but are likely to be expressed during an interim study committee scheduled for Thursday at the Capitol.